A Minnesota native, Dr. Krahl completed both her undergraduate education and medical school at the University of Minnesota. 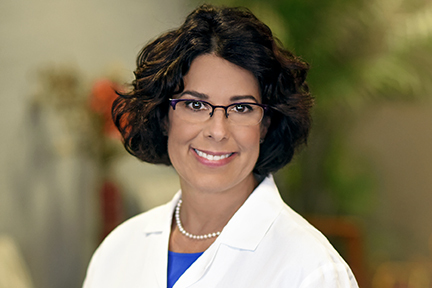 After spending four years at the University of California Irvine Medical Center to complete her residency, she returned home to Minnesota where she has been an OBGYN for the past 20 years—consistently ranking in the top 95 percent nationally in patient satisfaction scores. At Clinic Sofia, Dr. Krahl sees patients at both our Edina and Maple Grove office locations. She also takes care of patients at Fairview Southdale and Maple Grove Hospitals. She has a special interest in high-risk pregnancies as well as performing minimally invasive and robotic surgeries. Dr. Krahl enjoys quilting, reading, taking Hawaiian vacations, and spending time with her husband Larry, daughter Lauren and son Scott. She also has two dogs: Sam, a mini Goldendoodle and Cooper, a Golden Retriever.